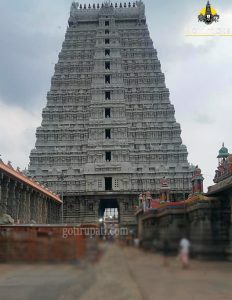 Arunachalam Temple at Tiruvannamalai is one of the panchabhootha sthalams. Lord Siva was here known by Arunachaleswarar and is referred to as Agni Lingam. 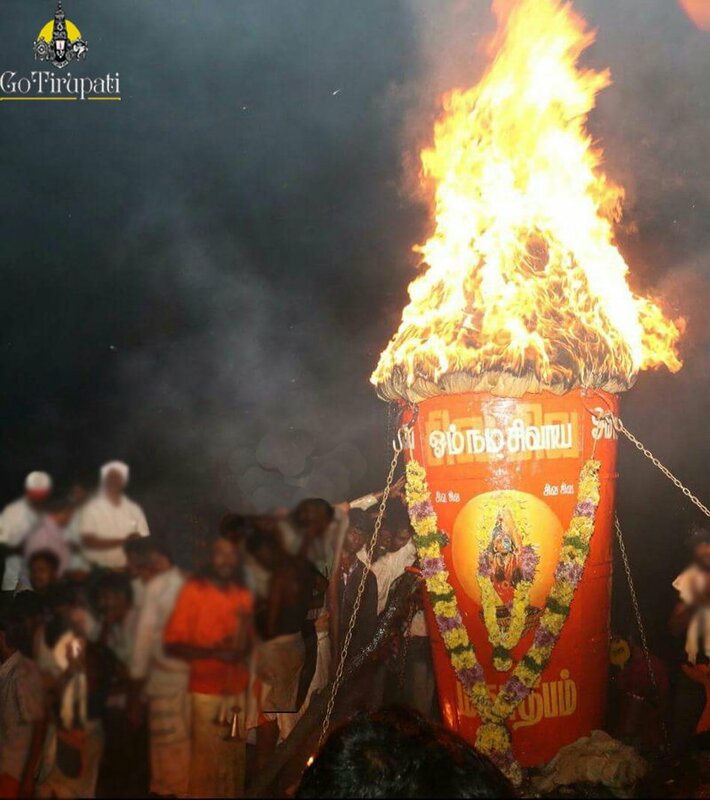 Karthigai deepam will be celebrated in a grand, temple will be decorated with colourful lightings. As per the legend, Goddess Parvathi closed Lord Siva’s eyes when they are in a cheerful mood, which leads the whole creation fell into darkness. 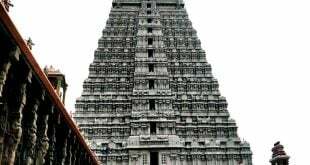 Goddess pleaded Lord for the mistake and reached Kanchipuram to perform a strict penance as directed by the Lord. 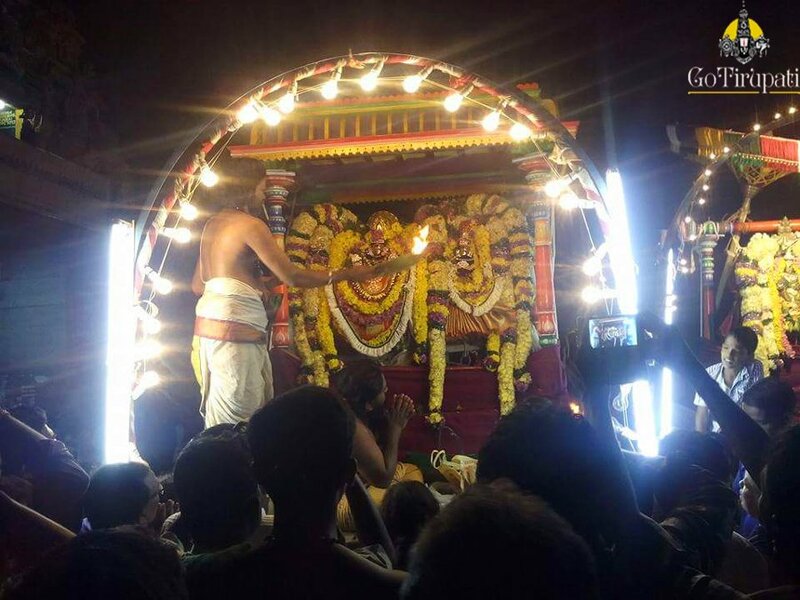 Later Goddess moved to Iruvannamalai hills near Thiruvannamalai and continued her penance. It is said that during this time, Parvathi killed the demon Mahisasura and organised a big festival on the day of Karthigai. Impressed Siva, appeared as a cosmic flame on the summit of the hill and Goddess joined him there as his consort. As per the legends, Lingodbhava is associated with this temple. Siva wanted to prove his supremacy, he emerged in the form of a great flaming cosmic pillar fire and challenged Lord Vishnu and Lord Brahma to find Origin and End. Lord Vishnu then took the form as boar and dug deep into the Earth and told Siva that he could not make it. Lord Brahma who took the form as a swan and set out to reach the top. On his way up, Brahma met Mogili flower (aromatic flower) and cow and requested to support his lie. Brahma with their support told Siva that he had reached the top. Angered by the claim, Lord Siva cursed Brahma that there will not be any idols for him and also cursed Mogili, that it is unfit for his Prayers and seeing cow’s face first thing in the morning will be considered as a bad. It is said that when Lord Siva appeared as a great flaming cosmic pillar, Lord Vishnu and Lord Brahma requested Lord Siva to take a well-wishing form for the benefit of mankind. 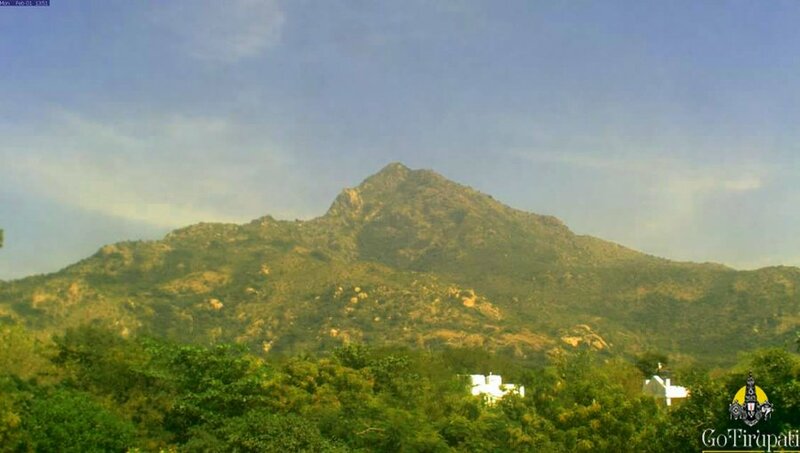 On their request, Lord Siva took the form as an Arunachala hill. 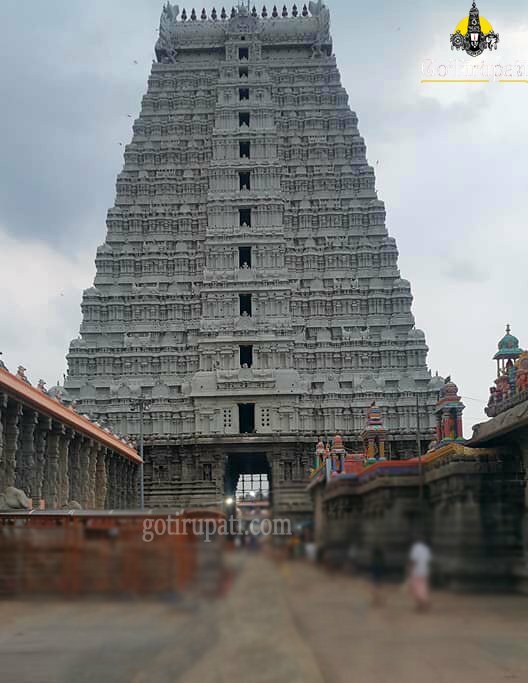 The temple Tower ( Rajagopuram) is of 41 meters tall and 30 meters wide which was built by the King Sri Krishna Devaraya from Vijayanagara dynasty, during 1509 A.D -1529 A.D. Eastern gateway Gopuram, Vallala Gopuram, which was named after the King Ballala from Hoysala, who made Thiruvannamalai as his capital. 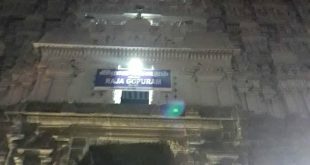 This temple has 5 prakarams which were built at different times. There is no exact information on the first and second prakarams. The third prakaram was built in the 12th century. Fourth and Fifth prakaras were built in the 16th century. 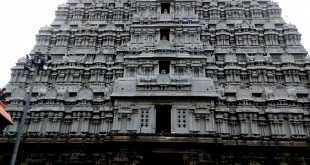 Temple architecture, Carving and Paintings resembles Hoysala and Vijayanagara culture. Nayak kings too contributed in renovating the temple. How to reach Arunachalam Temple? 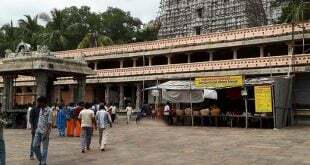 From Chennai Temple is 207 km away, which takes 3 hours 45 mins drive by own vehicle and 4 hour 30 mins by bus. you can have darshan from 5 am to 9.30 from 12 pm to 5 pm break. The direct train and bus are available from Tirupati/ Chennai. Hope this works for you. it takes 4 hours to rach temple from tirupati.